It's coming up babies around here, is it just me? I feel like half of the people I know and love are having little ones; they're popping up like spring flowers! So I've been working on some new baby plates, and here's my favorite. 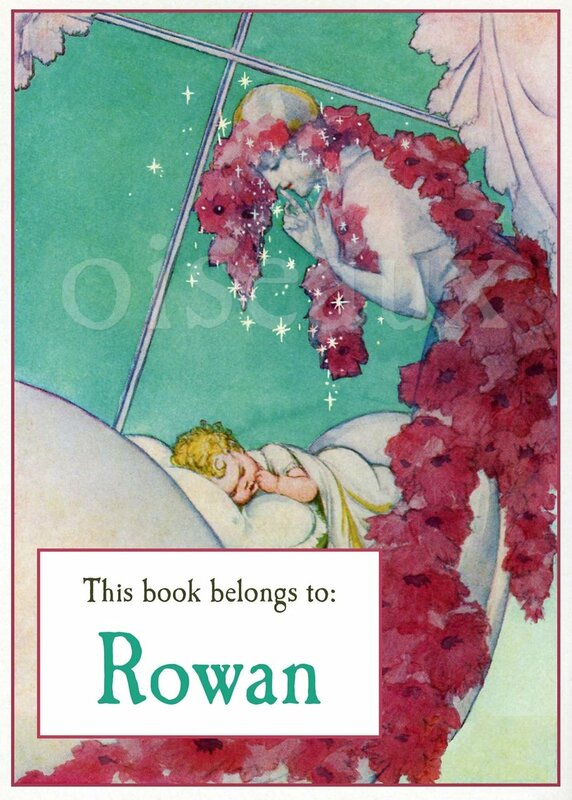 This bookplate was adapted from a book published in 1934, and it definitely has a deco feeling to it, doesn't it? Find out more about them here.